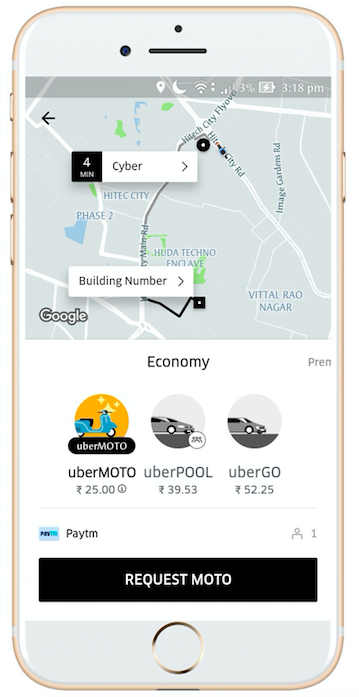 uberMOTO – Get set go! 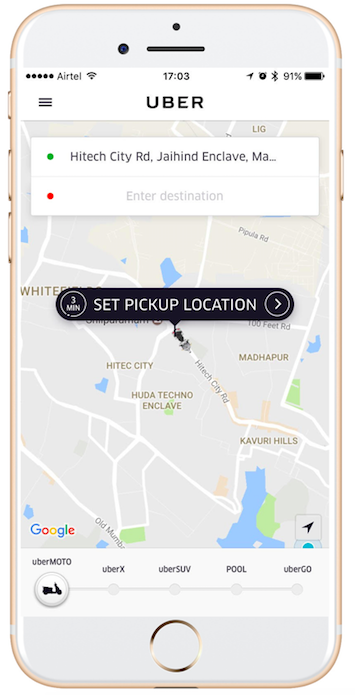 uberMOTO will go live in Hyderabad during the second half of Monday i.e. January 30, 2017 and will be one of the most affordable transportation options in the city, with fares as low as ₹ 25 for the first 3 kms and ₹ 5 per km thereafter, rounded up to the nearest km. Time charges won’t be applicable on uberMOTO.